Freetown (AFP) - Another woman has tested positive for Ebola in a village in northern Sierra Leone already under quarantine after the death of a 67-year-old woman a week ago, President Ernest Bai Koroma said. Koroma said the new case, confirmed on Saturday, had been in contact with the woman who died on August 28 in the village of Sellu Kafta in Kambia district. "The incident is a reminder that Ebola is still here so we must continue to adhere to the precautionary measures made by the health authorities," he urged. "As a government we have (recently) extended the state of public health emergency to deal with such occurrences. "The fact that we still have new cases (emerging) means that we need the regulation and we will continue to use it" to halt the transmission chain, the president stressed. The latest death had brought to an abrupt end the optimism fuelled by the release of what had been Sierra Leone's last known Ebola patient from hospital in the central city of Makeni in late August. 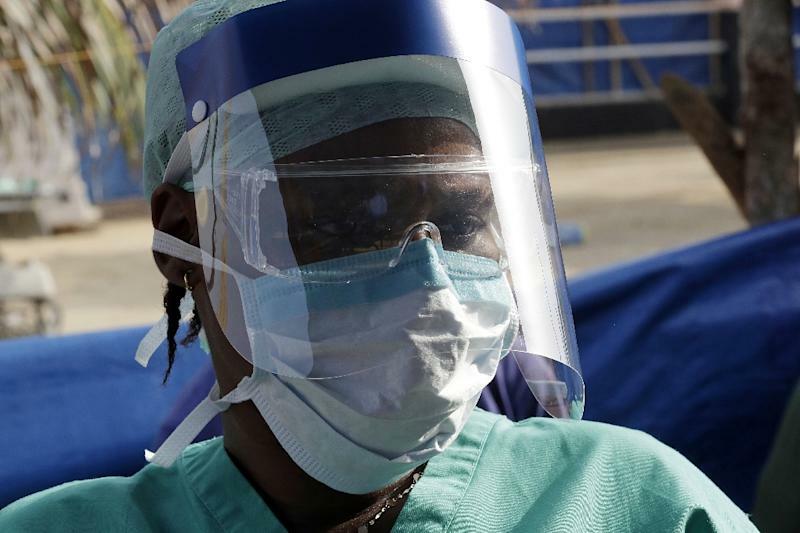 District health officials in Kambia told AFP the new Ebola patient was the "niece" of the woman who died in Sellu Kafta. The village of almost 1,000 people was put under a three-week quarantine lockdown after officials announced on Tuesday that the woman, a food trader, had died after being sick for up to 10 days without the authorities' knowledge. Reports from Kambia said "residents are in sombre mood and trying to relieve themselves from the shock of the first Ebola death about a week ago," said 46 year-old cashew-nut farmer Morlai Koroma. Health officials also said the experimental "Guinea ring vaccine" that has been administered by a World Health Organization team in the village since Friday was "progressing very well". The west African outbreak of Ebola has killed some 11,300 people since first emerging in December 2013 in Guinea, with Liberia the hardest hit.